Last Saturday we met up with Tim and Pauline to go to the Chatellerault car bourse. 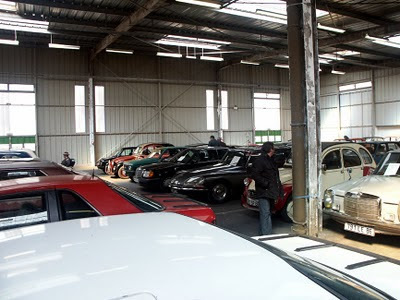 This is held over the weekend, and includes an enormous exhibition hall and outside area full of car bits, and two halls full of cars: one subject based (this year a display of Renaults) and the other full of private cars for sale. There were plenty of things to like, so I will let the pictures do the talking. After trawling the bourse we went and picnicked in the Parc du Verger. 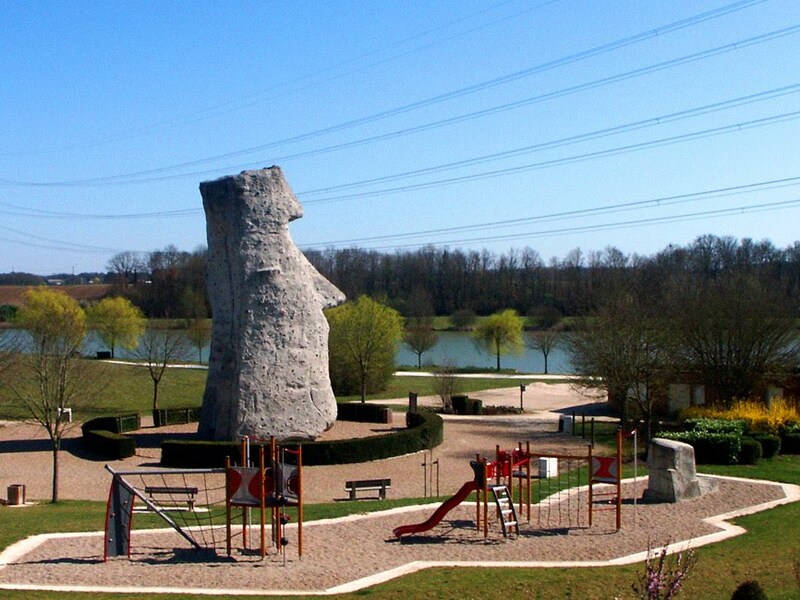 This is a park surrounded by a wall on the road to la Roche Posay. Like a lot of places we have visited this month, we have often driven past but never stopped before. Once again, it has been a really pleasant surprise. Not an outstanding park, but nice. 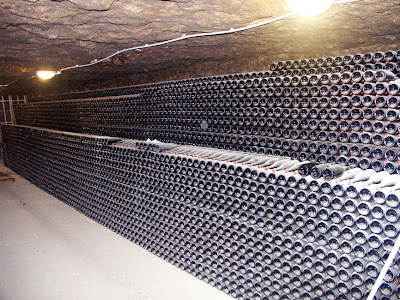 Chateaux - dozens of 'em! Whilst working on ideas for future tours, I came across a list of the building he caused to happen, and a mighty impressive read it is too. Most of these buildings still exist in one form or another. Many were destroyed in 700 years of warfare, some were left to rot by owners who couldn't afford to maintain them, but many of the ruined chateaux were restored in the 19th century and are now hotels or private homes. My new project (one of many) is to visit all of these places and photograph them, and I have no doubt that in the process I will find some that are not on the list. In addition to all this construction work, he travelled to Jerusalem 3 times (remember, this is 1000 years ago), was married twice, and was constantly battling the Count of Blois, the Bretons, and the Dukes of Normandy. This, no doubt, is why he only managed to father three children (legitimate ones, anyway). Both photos are of our nearest Foulkes fortess, the Donjon at Loches. If you have a look through previous blog posts you will find photos of some of the other chateaux as well. This coming weekend is the Journées Nationales des Métiers d'Art. 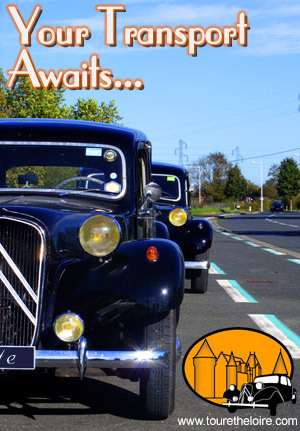 When Susan and I were at Retromobile last year we saw a stand for a car restoration place in Veigné, a place we travel through often. We were amazed, because the only place we could think of in Veigné is a tin shed on a roundabout. Admittedly we had seen the occasional Jaguar outside, but that was it. That isn't the car workshop this post relates to though - it is one we have never notice before, here. 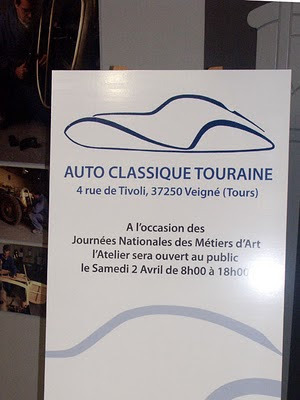 By my estimation, for the price of any one of those cars you could buy half the town of Veigné. 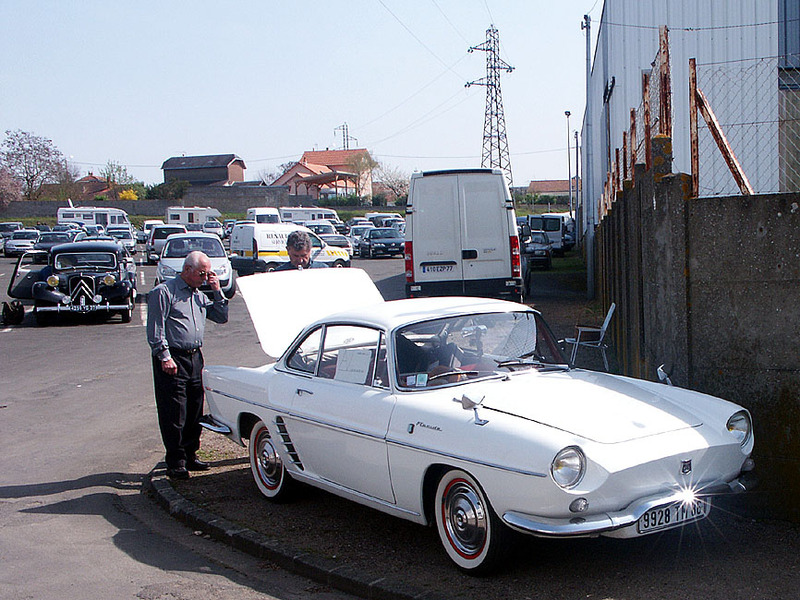 So next Saturday, we are off to Veigné (maybe in Célestine) to have a look at their workshop. This isn't the only event on, there is chocolate making, piano restorers, potters, ebonistes (furniture makers) and a whole lot more. The website is here. 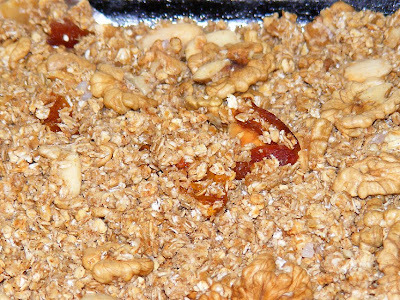 Making your own granola (toasted muesli) is easy and means that you can control the ingredients, adjusting for personal taste, and for health considerations. No more horrible banana chips or sickly bits of nasty indeterminate tropical fruit. Also the potential for lower fat, sugar and salt content than the supermarket choices. My idea with this particular mix was that it could all be sourced locally (or at a pinch, only a few hours away). It features the grains, seeds, nuts and fruits commonly grown in the Touraine, and so I can feel doubly righteous when consuming it. 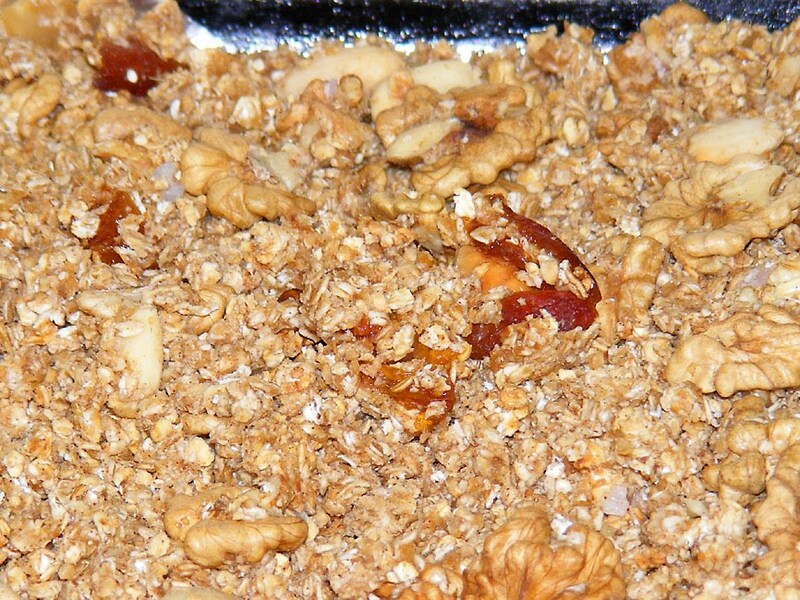 The cereals, nuts and seeds are suggestions only and can be used in any proportions you fancy or have to hand. Gently warm the fruit purée, candied fruit or jelly, honey and oil (2 minutes on low power in the microwave is good). Thoroughly mix the resulting syrup into the dry ingredients. Divide the mixture onto two baking trays and spread out thinly and evenly. 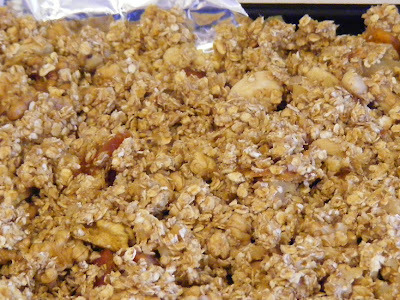 Bake for about 45 minutes, stirring every 10 minutes until the granola is golden brown. 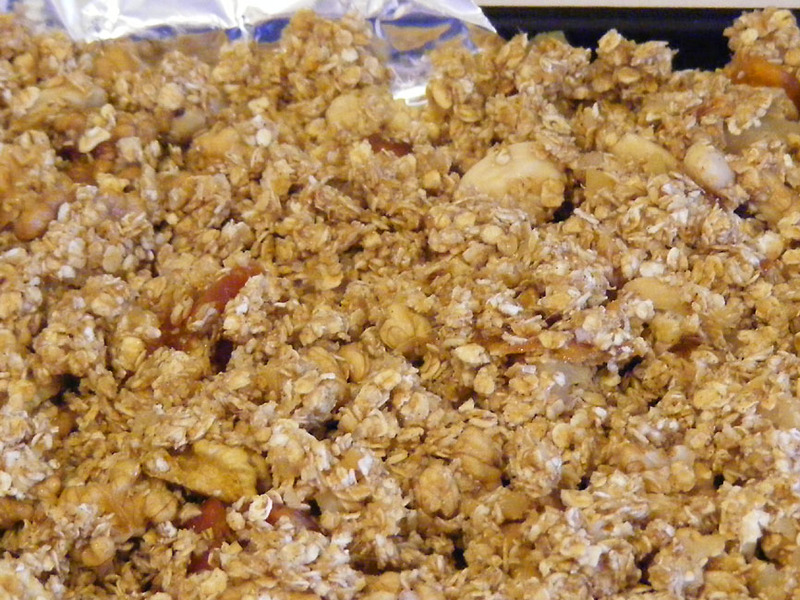 This makes about 1kg of granola, or enough to fill a 2l container. If you want to add an exotic touch you can add a teaspoon of ground cinnamon and a teaspoon of ground ginger to the dried ingredients. 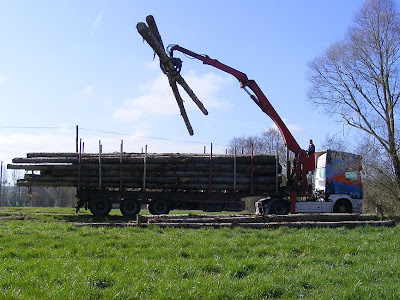 A few weeks ago we encountered a crew picking up tree trunks from the side of a country lane. The poplar trees were stacked in a neat pile on the grass and a crew with two big trucks had arrived to load them up and take them away. 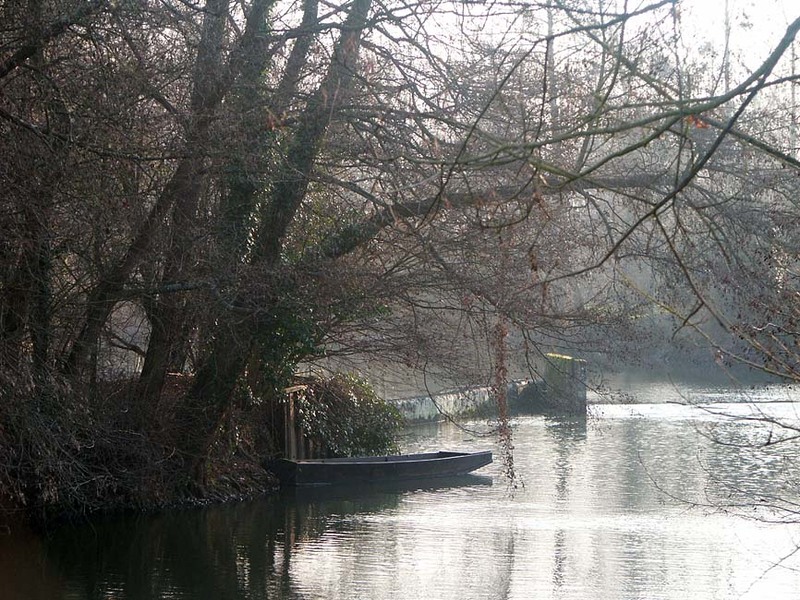 Poplar is widely grown on damp ground by water courses, planted in regimental style rows. Once harvested it is used for cheese boxes and construction. We have written about it before here. With the vernal equinox only a few days ago, my pretty Vernal Pea has burst into flower. 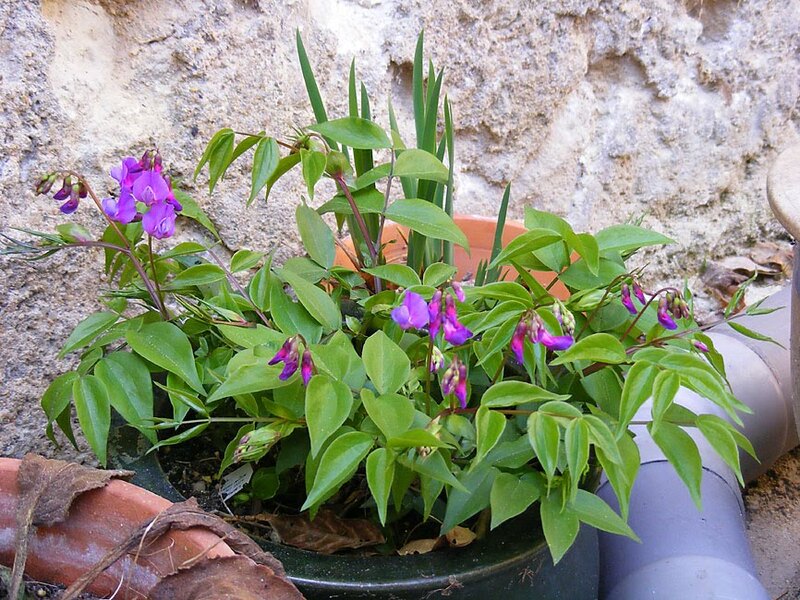 This unscented cousin of the sweet pea only has a brief season of flowering, but because it is so early, it is always welcome. 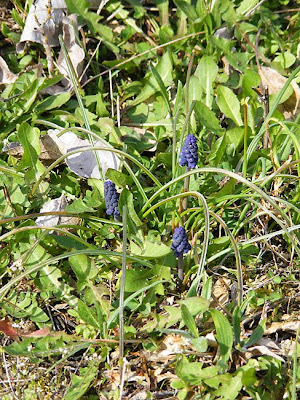 Out now in the orchard are some little wild Grape Hyacinth Muscari neglectum (le muscari à grappes). These are native to dry calcareous grasslands like our orchard, and make a subtle alternative to a bluebell wood, especially as they succeed the Common Dog Violets Viola riviniana (la violette de Rivin). 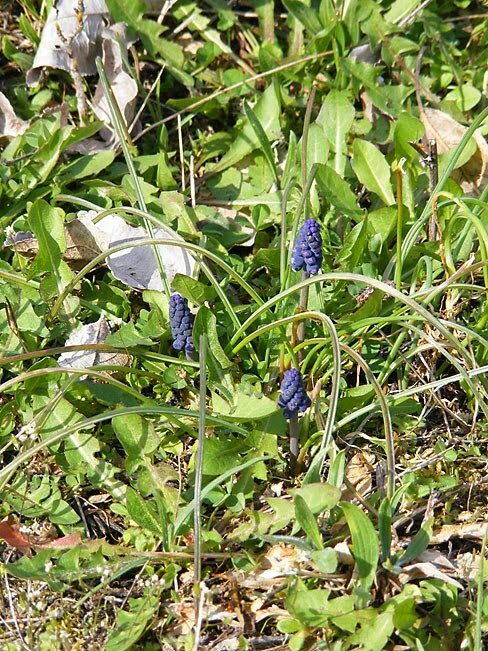 These wild grape hyacinth are very compact, and a darker blue than their garden cousins M. armeniacum. They are also apparently plum scented, although I can't say I've noticed. The weather here has been magnificent the past few days, more like summer than early spring. All the spring bees and butterflies have now emerged and are busy on peach and almond blossom, dandelion and lawn daisies. 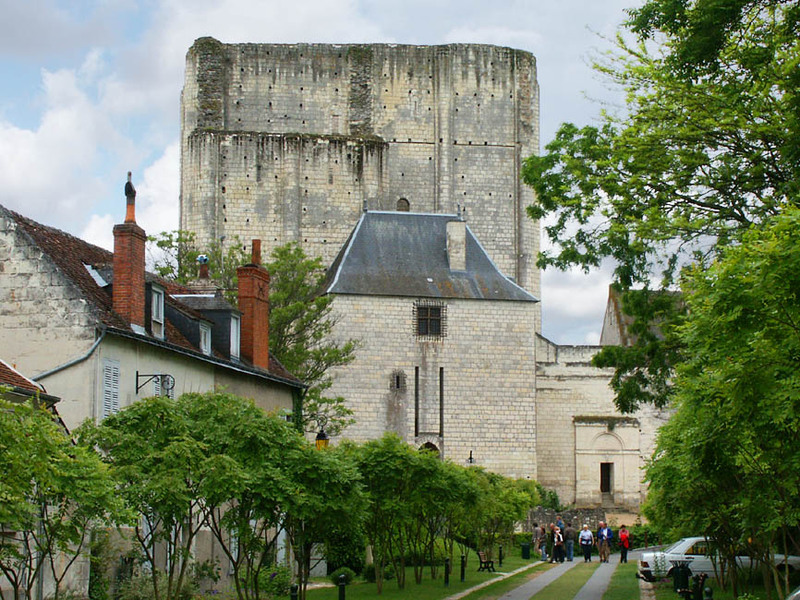 Thursday was particularly bright and warm, and as luck would have it, our first clients of the 2011 season came down from Paris to spend the day motoring around in Célestine, visiting Loches and Chenonceau. I have never seen so few people at Chenonceau either, so it was a real treat. We were at Chateau Gaudrelle yesterday evening, for a very pleasant evening tasting. 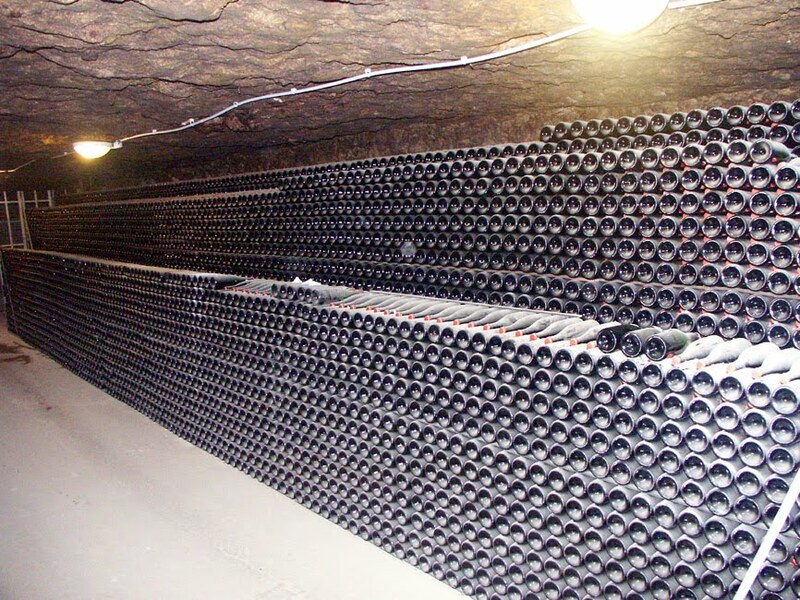 While we were there we had a tour of the caves, where we were shown this rack of 30,000 bottles of last year's Vouvray sparkling. Our job has all sorts of compensations! 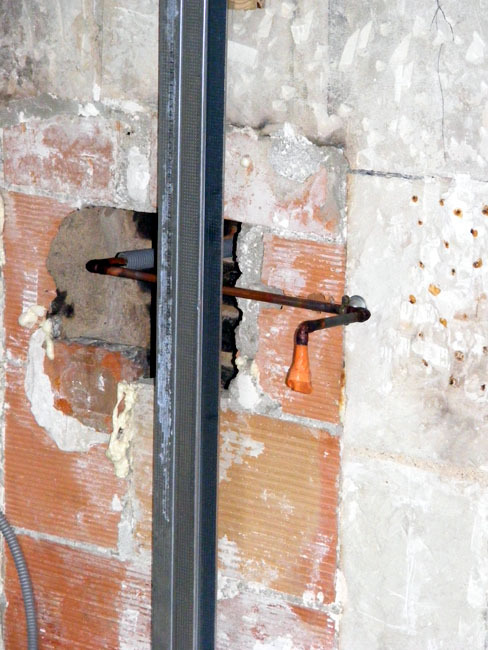 The nice man from Bertu's came down yesterday afternoon and fashioned us a copper pipe, attached the screw fittings (raccordements), and advised us of what regulator to get (apparently 1.3kg/h). He also pressure tested it. Now we can close that wall and move on to the next job, which will be jointing and painting the plasterboard. In the (Australian) autumn of 2006 I made a long journey up from Ayers Rock to Darwin by road with my family. Here are a few photos of creatures we encountered on the way. perching on our car aerial. 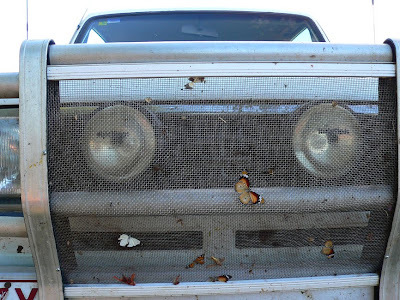 Carnage on the bug grill (below). The front of the vehicle has a bullbar, in case we hit larger wildlife like kangaroos, and a mesh to catch the multitude of insects that get splatted whenever you drive anywhere. My evenings often included carefully picking off and identifying the many insects, especially the flies, as there was generally a good collection of lovely beeflies as well as the more ordinary stuff. Yesterday being Monday, it was "looking at kitchens day". (Today is Tuesday, but still "looking at kitchens day", so no pattern can be discerned yet). Yesterday we visited Mobalpa and SoCoo'c, and today we have appointments with Lapeyre and Schmidt. Next week we have to make a decision. Last Monday when we were looking at kitchens we discovered a restaurant at Candé, but as yesterday's weather was so good we took a picnic and we tried a spot I had noticed on Google maps. It is amazing to think that a place as quiet as Lac des Peupleraies can exist so close to the shopping hell that is the Route Nationale at Chambray-lès-Tours. Even though it is hemmed in by an Autoroute, a TGV line and the Route Nationale (and on the flightpath to Tours airport) you could almost believe you were in the country. 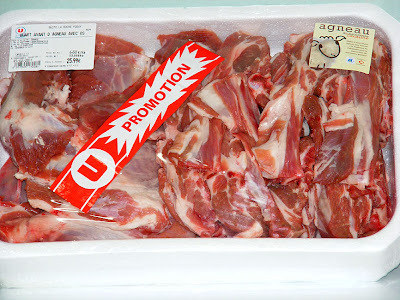 Recently I bought a forequarter of lamb at the supermarket. Legs were too expensive, being about €35, but this was a good price, €6.50 per kilo, and gave me 4kg of shoulder, chops and weird bits. I made the weird bits into Lancashire Hotpot and have frozen the chops to grill and the shoulder to slow roast Greek style with lemon and herbs. The thing that really caught my eye though was that this was French lamb and it had a sticker saying that €1 from every sheep sold would go to a heritage foundation and fund the restoration of pastoral heritage. Normally French lamb is completely unaffordable - even the less desirable front end, and I was intrigued by the heritage foundation. 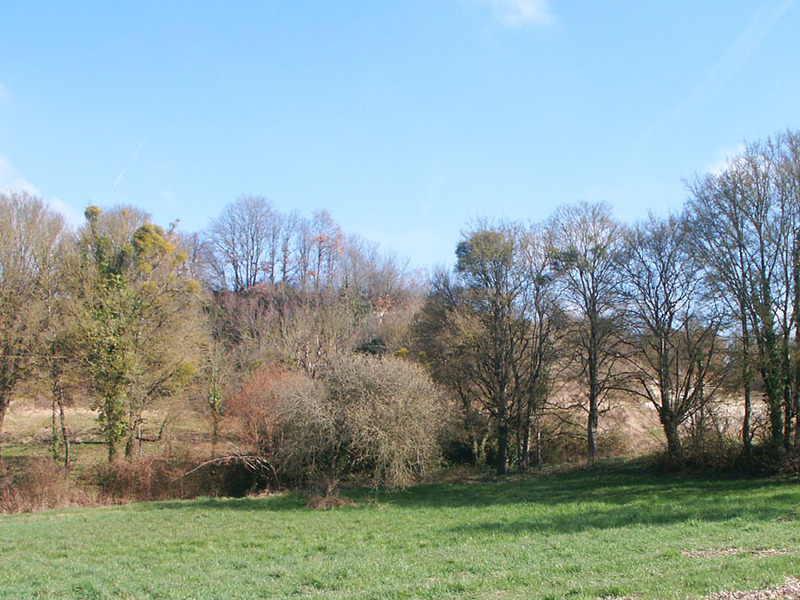 It turns out that the lamb is raised in an area called the Lacaune, around Roquefort. Every year their lamb is ready for slaughter in late winter. In the past, they had experienced the dreadful situation of taking lambs to market but not being able to sell them. The problem was that they needed to sell for more than the supermarkets were paying for imported lamb, and their product was traditionally seasonal. They were not geared up to provide a steady year round flow in the way the supermarkets preferred. In 2006 they decided they had to do something. After all, they were raising a high quality local product using traditional low impact farming methods. They needed to break the trend of downward spiralling prices paid to producers while the supermarkets charged more than most consumers were willing to pay. They had tried and failed in the past with a certification, so they tried something different. The producers, dismayed by the fact that they could not compete with the cheaper imported lamb, came up with a cunning plan. Somehow, remarkably, they formed a co-operative that included all levels of the industry, from supermarket buyers and specialist farm suppliers to abattoirs and packers. Now that the producers and retailers belong to the same co-operative, they work closely with each other, to communicate when the product will be available and in what quantity. It also facilitates promotional activity, with the cute picture on the label being a key part of the new strategy. Hopefully, consumers now recognise the logo, value the product and the commitment to preserving rural heritage and farming practices. The lamb is keenly priced, so while it is still more expensive than imported lamb, it's not so much that French consumers leave it languishing on the shelf. So far, it seems to work, because everyone has a vested interest in it working. Vigie-Nature is the French National Natural History Museum's citizen science naturewatch scheme. 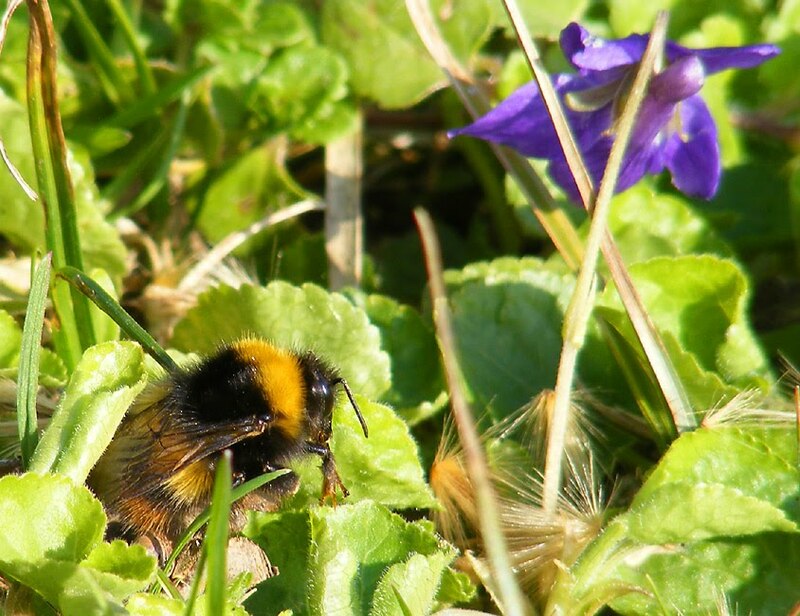 It allows anyone with an interest in monitoring their garden biodiversity to contribute to a national programme of data collection and analysis. 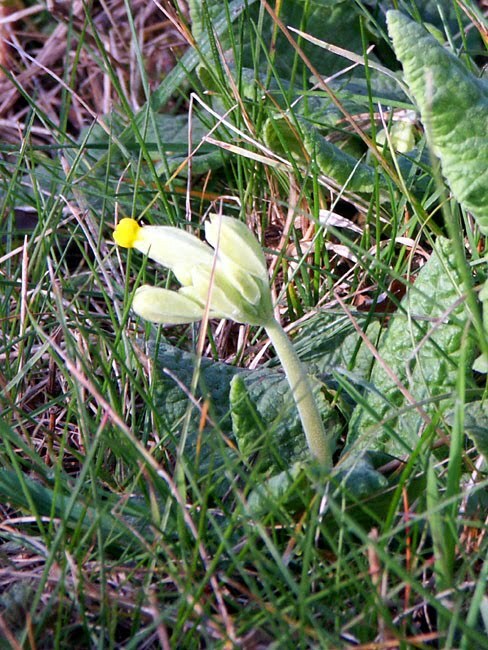 They also co-ordinate a variety of other national biodiversity monitoring projects, such as the butterfly monitoring scheme I have written about before, and there are projects covering birds, amphibians and bats as well as wildflowers and pollinating insects. To join you click inscription on the Vigie-Nature recording site, create a user name and submit it. The museum will then send you a password (be patient - it took them a week to get back to me) and ask you to answer a few questions to describe the garden you are registering and from which you will be sending your sightings. Your records should be entered online at the end of each month. amongst the violets by the river earlier this month. You have a choice of groups you can monitor - snails (Opération escargots), butterflies (Observatoire des papillons des jardins), bumblebees (Opérations bourdons) and beetles (Enquête coléoptères). I have chosen to monitor the three insect groups, but not snails. That's just on the grounds that I don't know enough about snails, and haven't got time to learn. The species they are monitoring are limited to those already known to frequent gardens, and the information provided to help you identify any species you are not familiar with is excellent. They are very keen to get English speakers involved and have produced an English language poster to explain the project. from underground in the potager a couple of days ago. The museum has several partners which host the information about the various groups to be monitored. Snails, garden butterflies and beetles are all under the wing of Noé Conservation, and they have produced some excellent pages (e.g. beetles) on how to identify the different species in each of these groups. The Observatoire des Bourdons, on the other hand, is run for the museum by GAE. Each of these garden biodiversity monitoring schemes can take as little as half an hour a month to be involved in, so if you would like to give it a go, please don't hesitate to register, and get in touch with me if you are struggling with anything. The museum and their partners have created a rather confusing matrix of information about the scheme, but don't let that put you off. Much of the information is repeated on more than one site, and I am happy to talk you through it if you get lost. The Musée des Arts et Metiers in Paris is a proper museum, with objects. 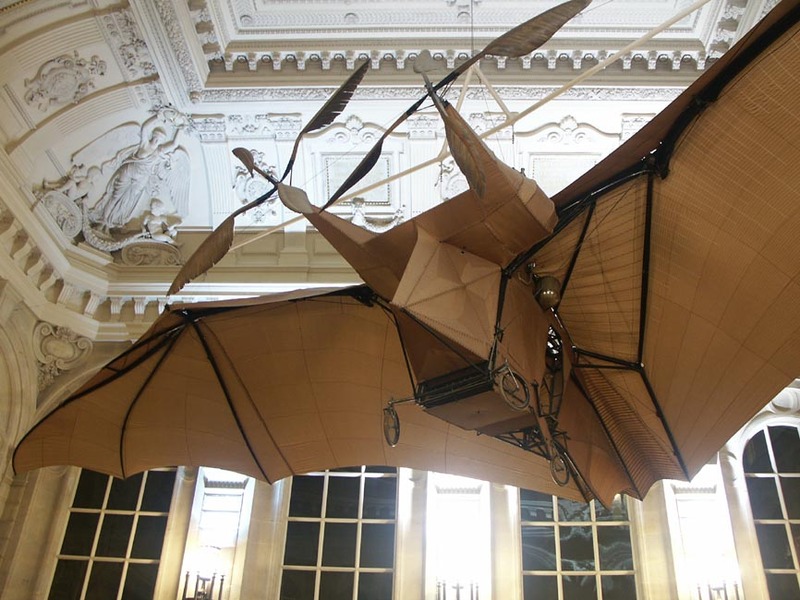 Their two prize artefacts are Louis Blériot's plane and Foucault's pendulum, but they've got lots of stuff pertaining to many different trades and industries. 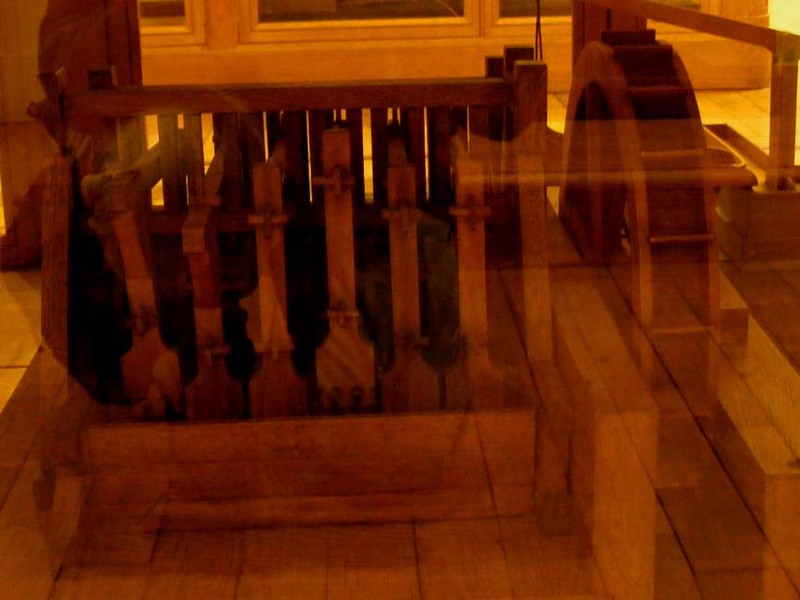 Many of the galleries are filled with glass display cases containing beautiful models of machinery, ranging from iron ore hammers to jacquard looms. Blériot XI, in which Blériot crossed the Channel in 1909. The collection was established in 1794 by a Benedictine abbot, Henri Grégoire. After the Revolution the institution broadened its horizons from just preserving technological milestones, and became a college for artisans. The museum's galleries display in turn scientific instruments, materials, construction, communications, energy, mechanics and transport. 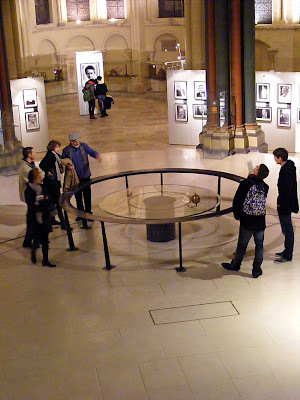 The site is an old monastery and includes a church, which houses a reconstruction of Foucault's demonstration of the rotation of the earth, with a large brass pendulum swinging to and fro. 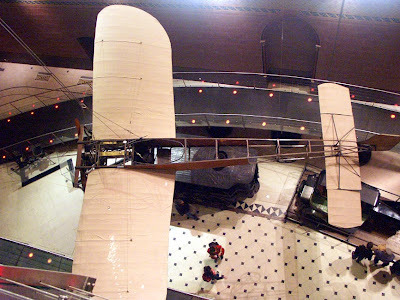 The original pendulum sits in a glass case to one side, and hanging from the ceiling a bit further along is Blériot's absurdly flimsy plane. due to an accident last year. It's free after 6.00pm on Thursday evening and the first Sunday of the month too. Back in July 2009 we bought what we thought were tomettes (but now know to be carrelage de terre cuite*) for the base of our staircase. We said at the time that we would be ordering the second and much bigger load of tile "soon". Well - that soon was last Wednesday, and we have ordered 33m² of 20cm square tiles from Terres Cuites de la Lorne. The tiles will be made in two weeks time, then delivered by truck when we are ready for them. 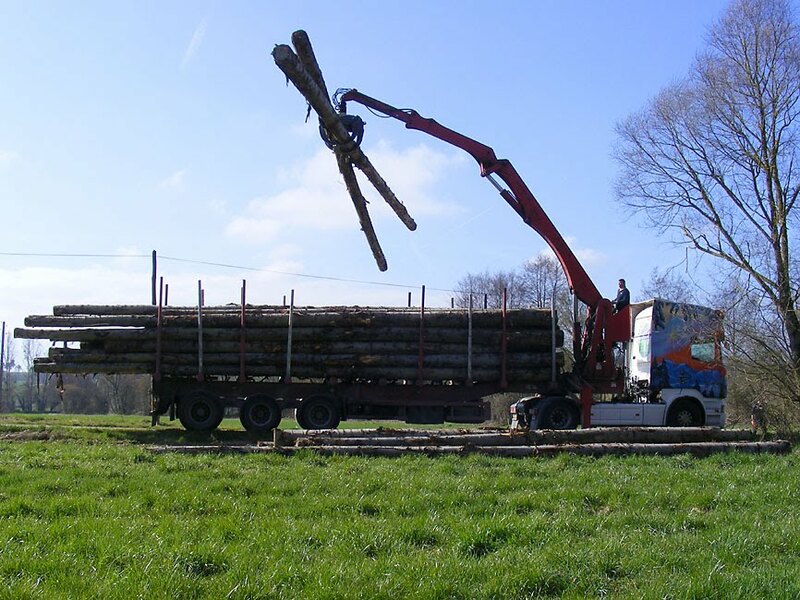 33m² weighs 3 tonnes, so we thought that by the time we made 10 trips with the trailer (and all that loading and unloading), delivery was worth paying for. They will be delivered on palettes to the courtyard, and I suppose we will bring them into the house as they are about to be laid. The business has just aquired a new owner, who has installed a gift/decor shop in a part of the building that wasn't previously being used, but all the workers seem to be the same people. We were really happy with the first set of tiles, fingers crossed the new ones are just as good. At the moment I am tussling with the thought as to whether I lay the tiles myself, or GTMI. I did rather quite well last time, but there are one or two mistakes (thankfully hidden by the staircase) and this time it's a huge area, most of which can be seen. 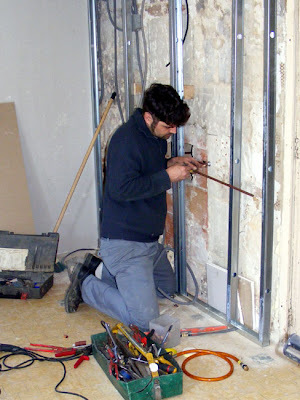 Once of the big dilemmas I have is which wall (if any) I align them with. I have 7 walls, only two of which are square (or parallel) to each other. Maybe with some expert advice and anti inflammatories (to offset the effect of all that bending over) I may do it myself after all. Except for mills and the villages that surround them, there were no other buildings on the riverbanks. People very sensibly didn't build too close, in case of inundation. Mills, on the other hand, have their feet in the water, by necessity. Over time, mills became not just the focus of habitation, but the focus of industry too. 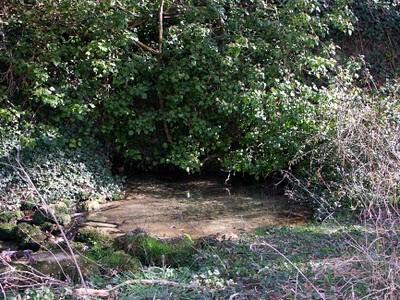 The Sauveget, a tiny stream emerging from the Forêt de Preuilly and emptying into the Claise near Bossay is an extreme case in point. Suddenly, in the 17th century, the mill at the confluence was converted to an iron working facility, with smoking furnaces, the noise of hammers and the arrival of a new population with convoys of mules to transport this new production. There were endless disputes between the muleteers and the local peasants. 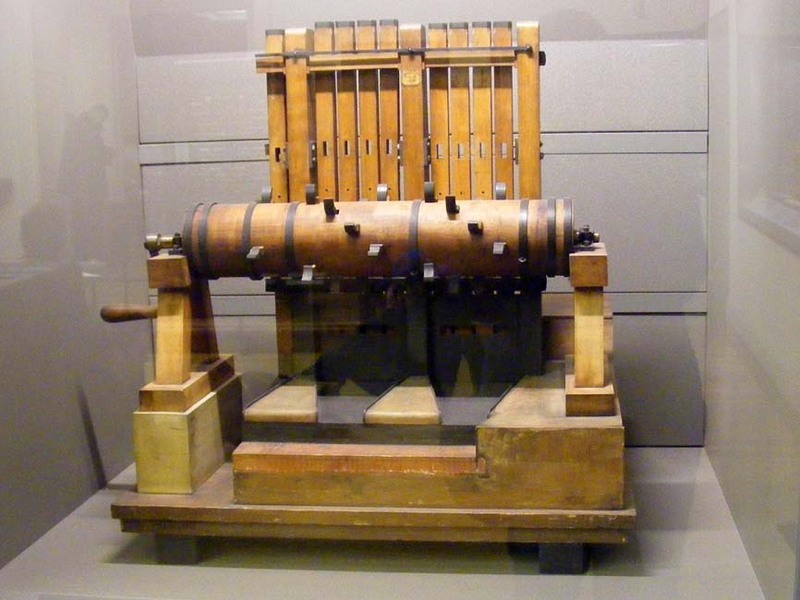 In the 18th century significant works were published, showing how one could calculate the power of a mill based on a set of variables such as the position of the wheel, the flow of water and the drop in water level from one side of the mill to the other. At the same time, the law changed to allow the re-milling of grain to produce fine white flour, which had previously been banned. Up till then, water mills only produced coarse wholemeal flour. 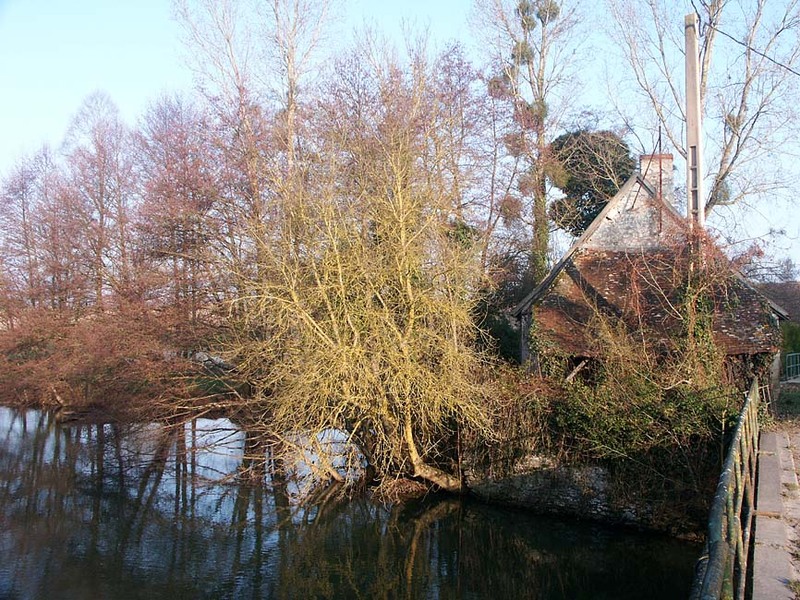 Even so, it was another hundred years before the first mill on the Claise modernised in response. The new iron and steel industry continued to grow until the end of the 18th century. After that it slowed, then declined over the next century. In 1846 the steel mills closed. Now there is virtually nothing left on the site. In the second half of the 19th century and first half of the 20th the smaller, less powerful mills ceased operation. In contrast, the bigger mills were enlarged and modernised with sieves, rollers and auxiliary motors. But it was their swan song. After the Second World War, in only a few years, virtually all had stopped, and the valley slumbered. Not on the Claise, this mill (below) in le Blanc was converted to steam power in 1838, possibly because the Creuse did not provide enough hydraulic power for modern industrial processes (it was at this time a flax spinning mill). It has been restored since this photo was taken and is now a cultural centre. By 1960 it was clear the river was in desperate need of maintenance. All of a sudden the banks swarmed with engineers, surveyors, managers, machines, bulldozers, cranes, diggers everywhere, to stabilise the banks, dig, rectify, redress past neglect, install new weirs. It took 15 years to put everything right. Now peaceful and regulated the river attracted a new group of people, motivated by the idea of returning to nature. The number of anglers increased, but at the same time, farmers began installing pumping stations, becoming ever more numerous and powerful. Leisure and irrigation had become the new role of the Claise and its tributaries. 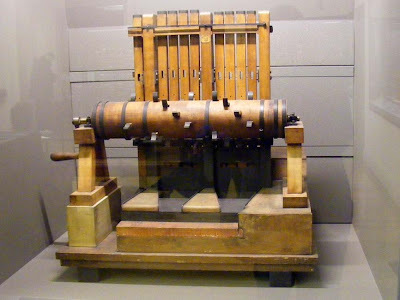 such as the one in Preuilly (Musée National des Arts et Métiers). Mills had been the initial cause all over the western medieval world of the exploitation of water courses, and had been, with wind mills, the first, and for centuries, the only machines capable of putting energy drawn from nature at man's disposition. 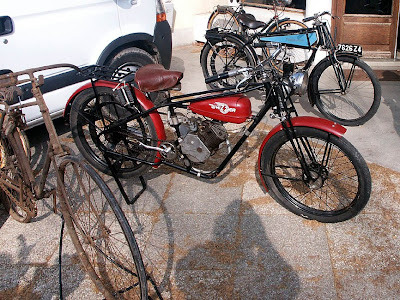 They had been sources of profit, activity and progress before being abandoned, deserted, sometimes races even drained, their big wheels immobile and dead. From time to time someone has the idea to use them to provide a source of clean energy, but even if the 100 000 mills which operated in the old days on all the rivers of France were still all functioning and used to produce electricity, they would not replace a single nuclear power station. Their best hope is that we now value them for the beauty of their sites, the uniqueness and robustness of their construction and the nostalgia in the landscape that they invoke. They attract more and more visionary private owners, determined to give them new life, or at least preserve their appearance. The Claise and its Mills in the Middle Ages can be read here. Source: L'aménagement hydraulique de la Claise tourangelle et de ses affluents du Moyen-Age à nos jours, and thanks to Jim McNeill for bringing this document to our attention. Encouraged by a 30 year study of Early Spider Orchids Ophrys sphegodes in the south of England I have been diligently collecting data on my orchids in the orchard. 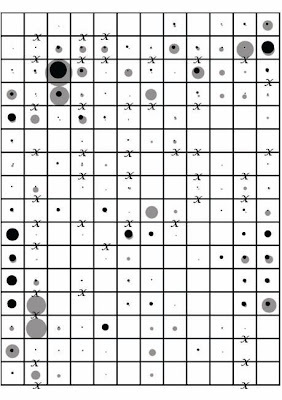 Below, 2011 orchids (grey) overlaid on 2010 orchids (black). The x's are fruit trees, the squares are 2m x 2m, the size of the circles indicates numbers of rosettes. This year, numbers appear to be up. Right now there is a total of 318 individual rosettes or clusters of rosettes. I won't know how many will go dormant early for another couple of months but many of the leaf rosettes are looking very robust. Along side many of these flourishing rosettes are smaller rosettes, probably too small to support a flower spike this year, but showing that the orchids are multiplying. Almost all of the rosettes appear to be Ophrys spp, with a cluster of Pyramidal Orchids and another of Lady Orchids having reappeared in the same positions as last year. What other species I get remains to be seen, but there are Lizard Orchid Himantoglossum hircinum leaf rosettes in the middle of the track that leads up to the orchard. 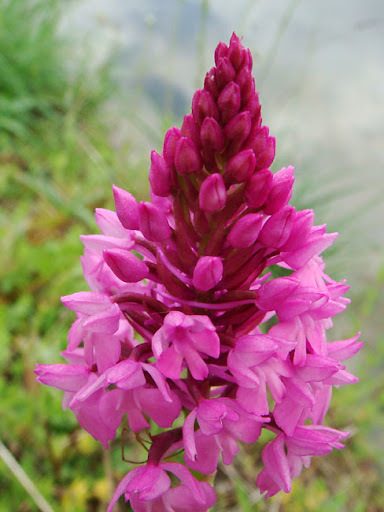 Lady Orchids (flower not yet out). Since I am being totally nerdy about the orchids I have mapped their positions, counted leaves and taken measurements. I can reveal to you that the average number of leaves in an Ophrys spp rosette is 3.29, with an average mature leaf size of 59.07 mm long by 21.71 mm wide. 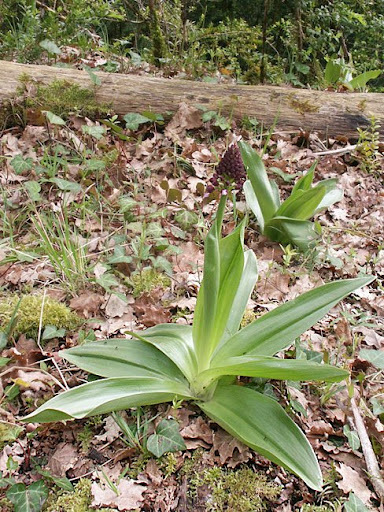 In contrast, the Pyramidal Orchids have an average of 4.75 leaves per rosette, measuring an average of 124 mm long x 17 mm wide, and the Lizard Orchids have 7 leaves measuring 105 mm x 48 mm. In other words, Lizards have lots of quite long, very wide leaves; Pyramidals have fewer but very long, very narrow leaves; and Ophrys spp have just a few leaves, of moderate size. I can perceive no difference in the leaf rosettes of the Ophrys spp, even when I know from their position whether they are Bees or Early Spiders. The Ladies have an average of 4.5 leaves per rosette and their mature leaves will be almost as long and wide as the Lizards, but as they have only just emerged they have not reached their full length yet. It was thirteen months ago I wrote about driving to Tours to start looking seriously at bathroom fittings. 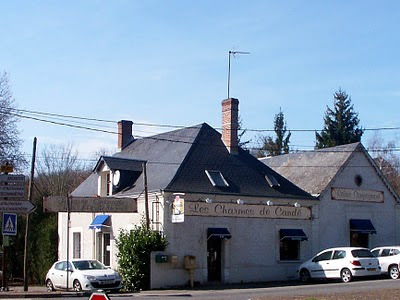 Yesterday we drove to Tours again, this time to start seriously looking at kitchens, and whilst were in the area we took the opportunity to check out a restaurant I had found mention of online, with a view to using it occasionally on one of our tours. It's another winner!! 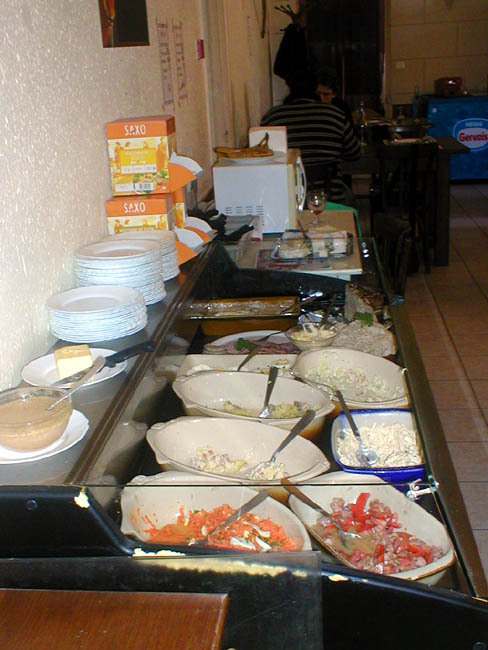 The restaurant may look slightly unpreposessing, but as we have discussed before, looks can be misleading. 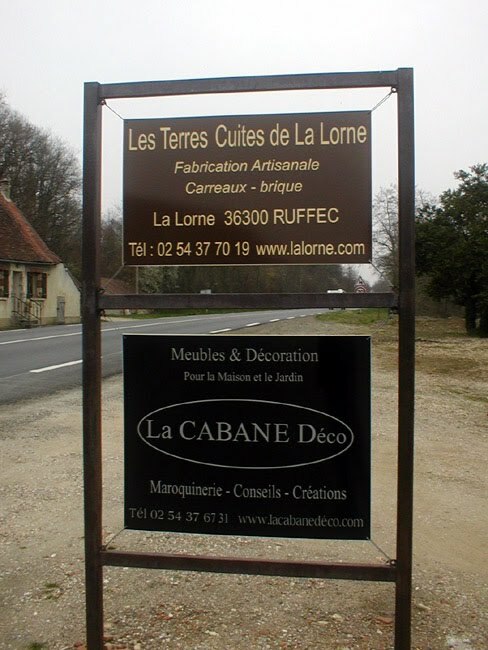 Being just outside Chambrey le Tours near the Château of Candé it is easy enough to get to when you're shopping for household stuff and the big bonus is that everything is á-la-maison, unlike many of the meals you find in lunchtime restaurants. Yesterday for lunch I had a buffet entré, pork cheeks and boiled potatoes, cheese, dessert and coffee, washed down with a ¼ litre of chinon red. Susan had the same, but skipped the cheese and coffee. The damage? €14 for me, and €12 for Susan. The meal was a real belt stretcher, beautifully cooked and full of taste. This is a great little restaurant - just the right level of conversation, a parking lot full of white vans, good food, friendly service and great price. If you're ever here (or nearby) we can't recommend it highly enough. Ever since I joined the library we have been working our way through the history, patromoine and guidebook section. This means that over winter we have accumulated a list of places we must visit once the weather is better. Last Friday we actually managed one of the visits. 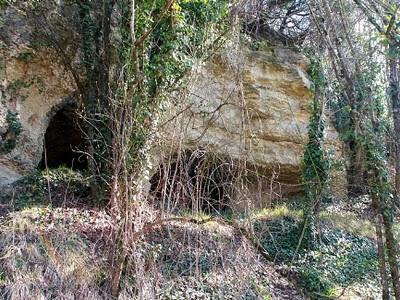 The grottes near Charnizay were built as refuges in the period between the Norman Invasion of the 10th century and the Feudal Wars about a hundred years later, when the Normans started beating up on each other (and the local peasants) rather than just the local peasants. 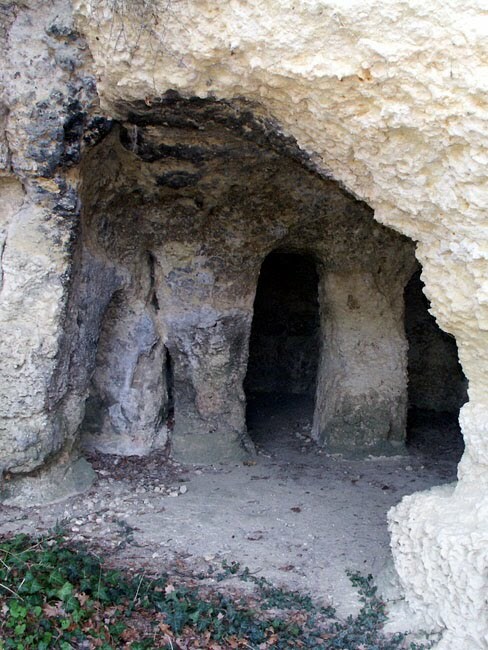 They are built into a low cliff face about a kilometre from the village itself, and consist of a number of passages opening up off a central chamber. We didn't explore inside, because we forgot the torch. (You have it right - a caving expedition with no lighting is not our cleverest idea). We will be returning, with torches at some time soon. 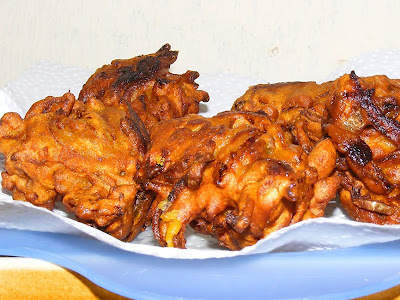 Obviously onion bhaji aren't a local French delicacy, but we grew lots of very nice onions last year and onion bhaji are a very simple tasty onion snack or side dish. They are also suitable for coeliacs, and with a coeliac brother-in-law and now my friend Elizabeth at Braye-sous-Faye, I'm always on the look out for recipes that are safe for people with the condition. Put the flour, salt and spices into a bowl. Add cold water and mix until you have a thick paste. 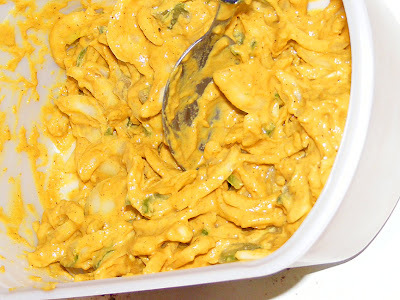 Add the onion strips and mix well into the paste. Add the chilli and mix well. Heat the oil to deep fry temperature. Drop small egg or large walnut sized spoonfuls into the hot oil. Allow them to cook until golden brown, a few minutes. Onion bhaji draining on kitchen paper. They can be eaten on their own, or with an Indian style chutney (e.g. mango or minted yoghurt). I like to serve them with barbecued chicken wings, and a spicy plum sauce. Ken and Walt have written a couple of times about cooking chicken wings that would work well served with onion bhaji. For the fifth year running, our "first coucou of spring" photo. This was taken yesterday, and although the flower hasn't fully emerged, it IS a cowslip, and it IS out! 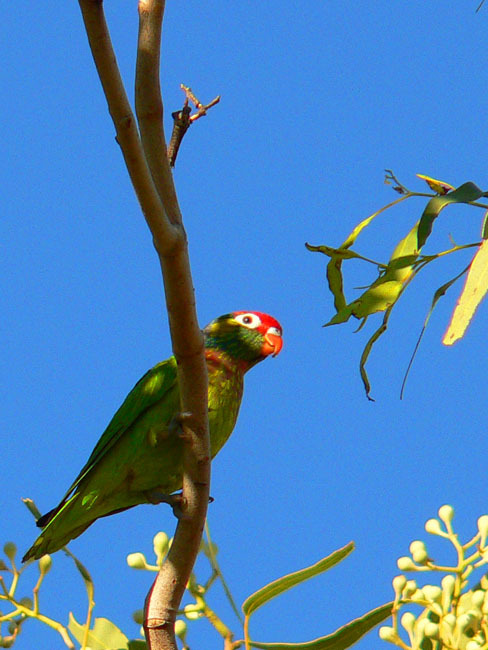 Local wisdom has it that we should hear the first coucou (bird) at the same time. So far we haven't, but there have been reports. Last Sunday we went to Noyers-sur-Cher to a classic car bourse d'échange (swap meet). 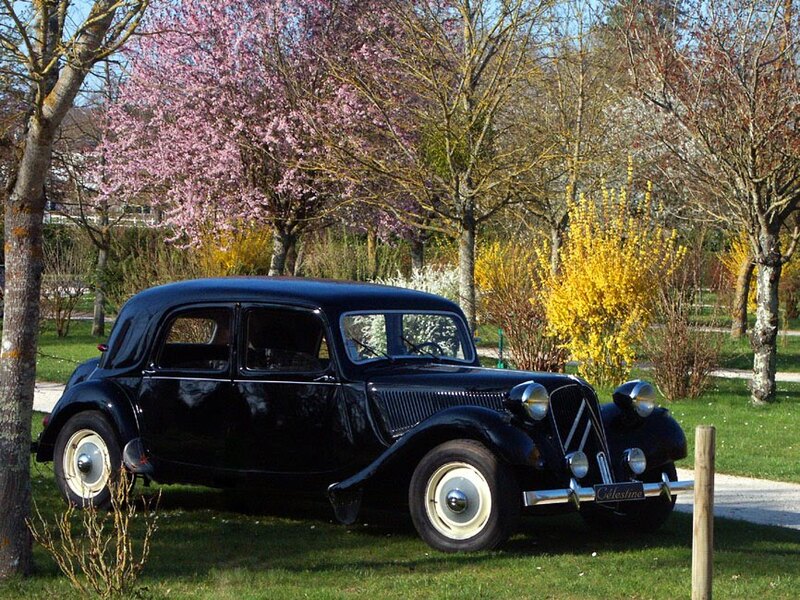 It was a lovely day for an outing and Célestine drew many admiring glances and comments. We parked outside the church and went off to look at a vast array of car and motorbike bits. 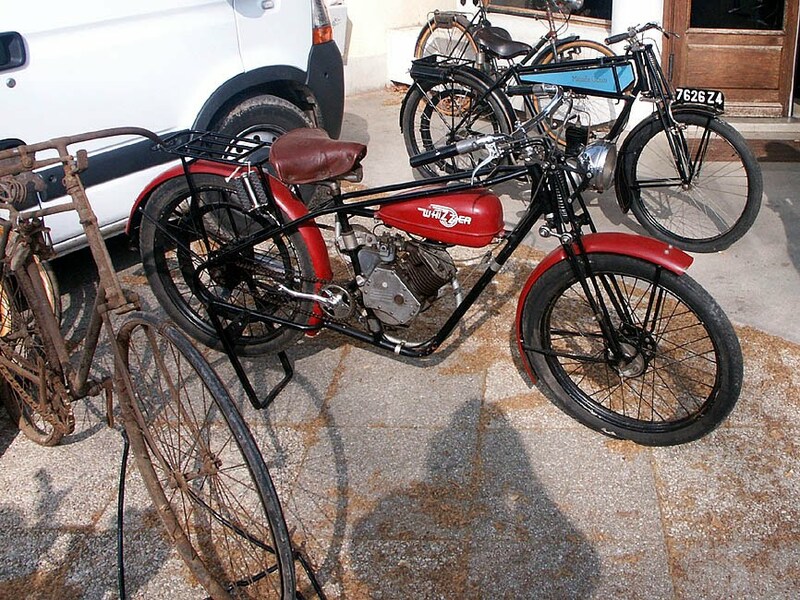 There were large numbers of bikers in town, and the bourse itself seemed to be a bit 'bike heavy'. 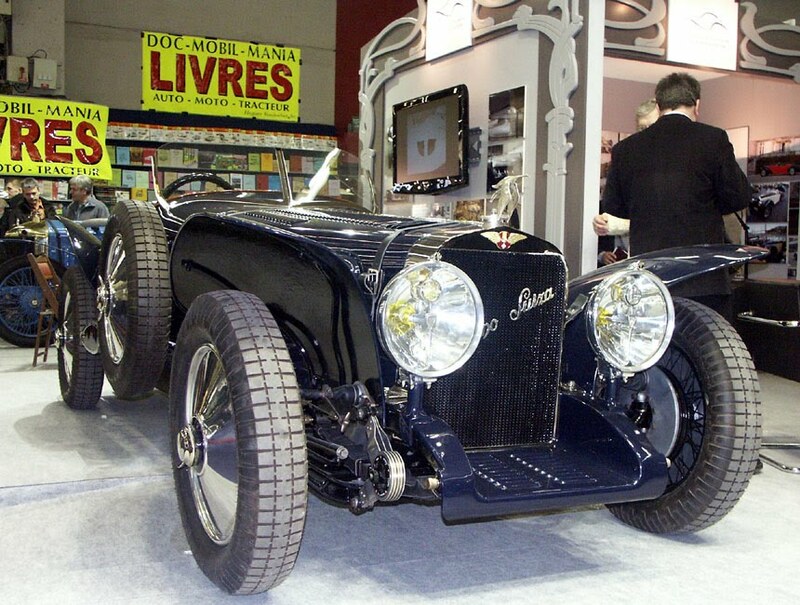 Nevertheless, people were heading out of the meet carrying bonnets and doors, engines and tyres, most of them in distinctly à renouver condition. Eventually we landed up on the Traction Universelle stand where we ran into several people we knew and were invited to apéro at midday. We were also given a very nice feature tile, made in Châteauroux to celebrate 30 years of the club having a branch in Centre, our region. We think we might install it in the new kitchen. It was good to see Jean-Louis Gargot again, as he has helped us with several niggly problems with Mme Célestine. Also present were Marie-Christine and Dan, who we had met at Valençay last year. We were able to tell them that we had watched the video of their epic drive from Sydney to Darwin recently. Marie-Christine once again encouraged me to join her for the annual sortie des Birettes (Witches outing) in the autumn, when the female club members have a women only outing. Apéro turned out to be thinly disguised lunch, with breads, goat's cheeses, galettes de pommes de terre (potato puff pastries), fromage de tête (brawn), andouillette (tripe sausage) and clafoutis (fruit in batter pudding) being produced out of bags, baskets and eskies (cool boxes) stashed at the back of the stand by members of the club. Simon dashed off to procure some rotisseried chicken and spicy potatoes as our contribution. A TU club member's stand full of car parts was hastily cleared and a paper table cloth laid out. The food, and a selection of wine was spread out and people tucked in. The fromage de tête and the andouillette was home made, from different parts of the same sanglier (wild boar), and there were two sorts of clafoutis, also home made. The andouillette, spicy and finely chopped, was particularly good, and I had two pieces of the superb sour cherry clafoutis. 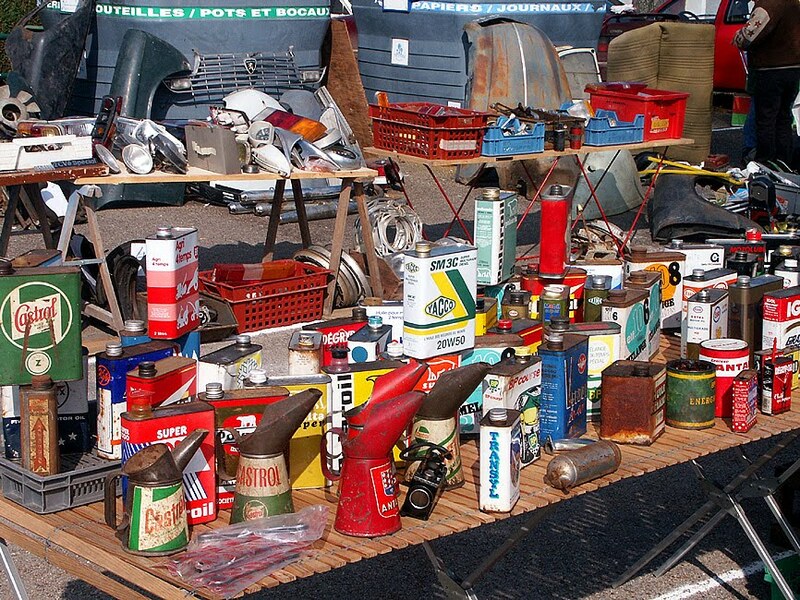 No shortage of oil cans for collectors. After a thoroughly enjoyable lunch we headed across the river Cher to visit Ken and Walt, who live about 10 minutes away. They promptly offered us some dessert (and had a delicious looking chocolate tart on the table), but we declined on the grounds that we had already eaten 2 (or in my case, 3) pieces of dessert. Instead we just had coffee then went on a walk through the vines out the back of their place. All in all a good break from house renovations and worrying about how to most effectively advertise our business. 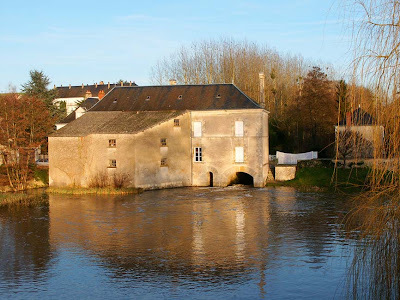 The river Claise, which runs through the middle of Preuilly, isn't very long - only 88km - and isn't very wide, but it is noteworthy for the number of mills it once powered in the Touraine. The development of mills can tell us a lot about history from a technical, scientific, economic, social and landscape point of view. The history of the harnessing of the hydraulic power of the Claise and its tributaries stretches back at least 8 centuries, with continuous intervention by man on these water courses. 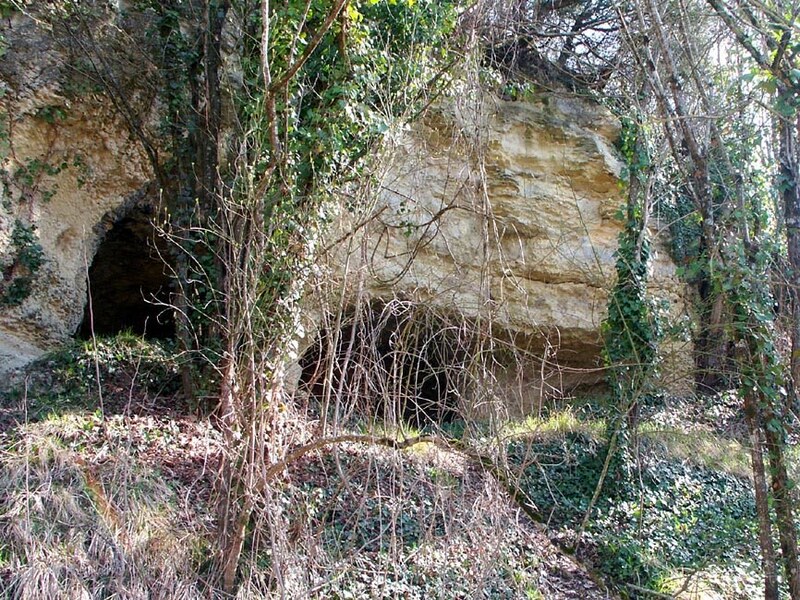 The Claise was favoured in this way because, at least in its passage through the Touraine, it has a natural average fall of almost a metre per kilometre, and could therefore support nearly one mill every kilometre. 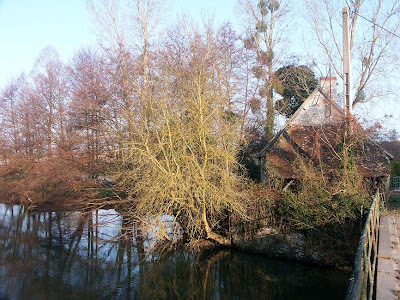 Other rivers in the area, such as the Creuse, Vienne and Loire, are big slow wide rivers, navigable for long distances, but unable to deliver the power needed for many mills. later converted to a tannery, now a maison secondaire. We know virtually nothing about the first mills, but they would have been modest constructions, entirely of wood. Mills from this time used multiple narrow wheels and were exclusively for grinding grain. 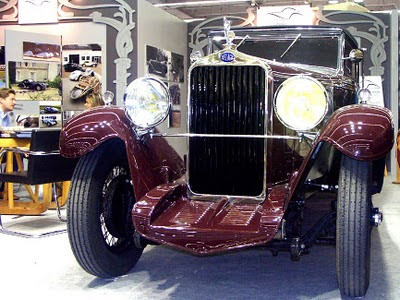 Later, little by little, their functions diversified, iron parts began being used, techniques for wheel building improved, leading to bigger and more powerful wheels. The knowledge was transmitted slowly though. Surprisingly, for such technically intricate structures, people did not specialise in mill construction. Mill building was done on a local level, by the local carpenters and masons. As building a mill was a big undertaking, most artisans would be involved in the construction of very few - it was perhaps even a once in a lifetime operation. Consequently, individuals did not get the opportunity to experiment or build on experience very often, and mill construction stuck with known techniques. 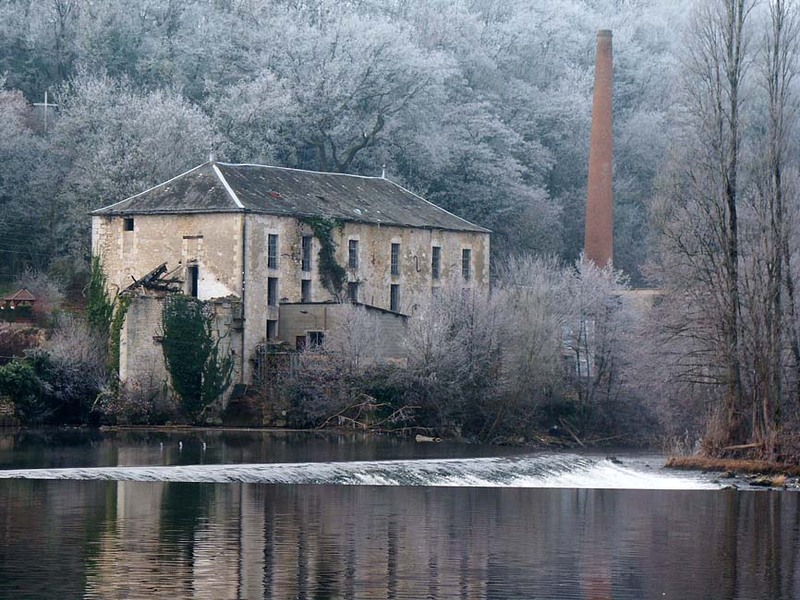 The remains of the Moulin de la Tourneau. 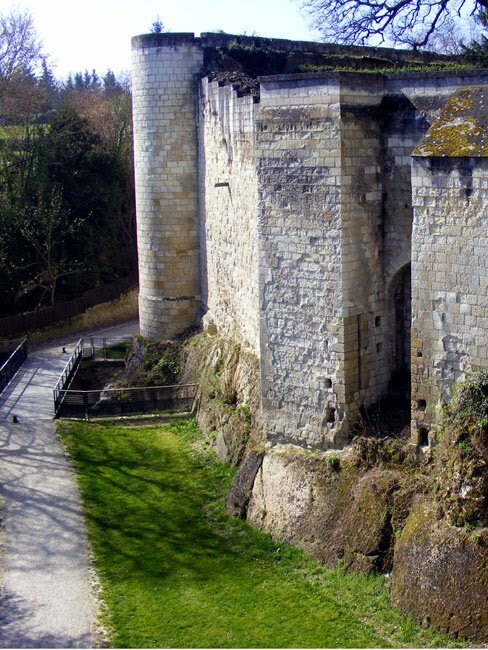 Throughout the middle ages biefs (mill streams), moulins (mills) and barrages (weirs) were constructed. Over time, first one and then another was enlarged or modernised. The Claise valley took on the look it retains to this day. The weir for the moulin de la Tourneau. Those who remember the Claise from the 1970s have the best idea of what the river must have been like prior to the development of the mills. After the Second World War, mills fell out of use and out of fashion. They weren't maintained and fell victim to floods, which were all the more destructive because the river was no longer being controlled. The river reverted to its natural state as a small, fast flowing stream on a bed of pebbles; reduced to a trickle in summer and swollen in winter; rapids over the fords, lethagic over the holes. After the mills and their associated reservoirs were constructed, the impression is of a much wider river, calm, slow and full. 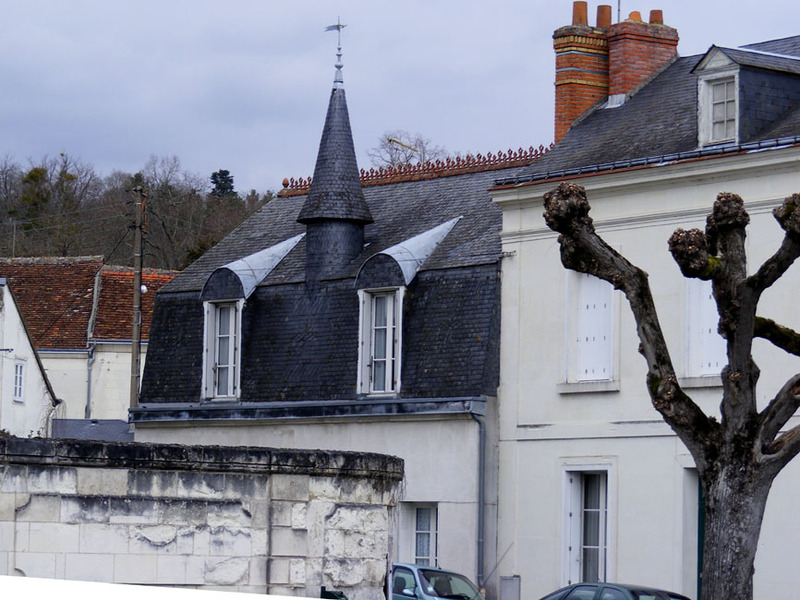 There is an awful lot to like about this little house in Loches: from the dinky little tower to the decorative brickwork on the chimney, the place is a gem. What a Pointy Nose You Have! One day in late February I was idly looking out the window and I noticed a dead leaf being blown up the driveway, hither and thither as the wind gusted. But then I looked again - it was a little creature! Not a mouse - the shape and action was all wrong. Was it a small vole I wondered? 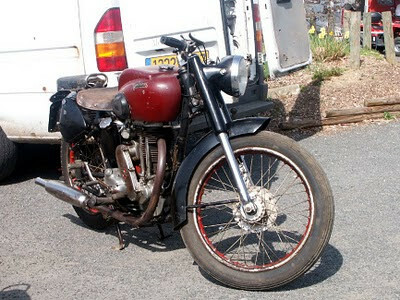 It had the most distinctive manner of progressing up the driveway. I can only describe it as looking like the bobble of a knitted hat being blown erratically over the terrain. It didn't bounce or scurry, it bobbled its way along the base of the neighbour's garden wall, with an occasional splash into a puddle, as though it had no control over its movements. At this stage I ran to get the camera, not holding out much hope it would be anywhere to be found when I returned. But I was in luck, and soon saw it moving again. Once it got level with the back of the neighbour's garage it changed tactics to cross the driveway into our back garden. For this manoeuvre it opted for a more traditional scurry, keeping its belly close to the ground and taking the shortest straightline route as rapidly as its little legs could pump. What a long pointy nose! Then it had a bit of a nose around in the moss and dried vegetation, peering under things, climbing gingerly over others. After a few minutes it stopped dead. I thought at first it must have been injured and in shock, but it seems not. It must have known I was there, but the lure of having a rest in the sun was too tempting. 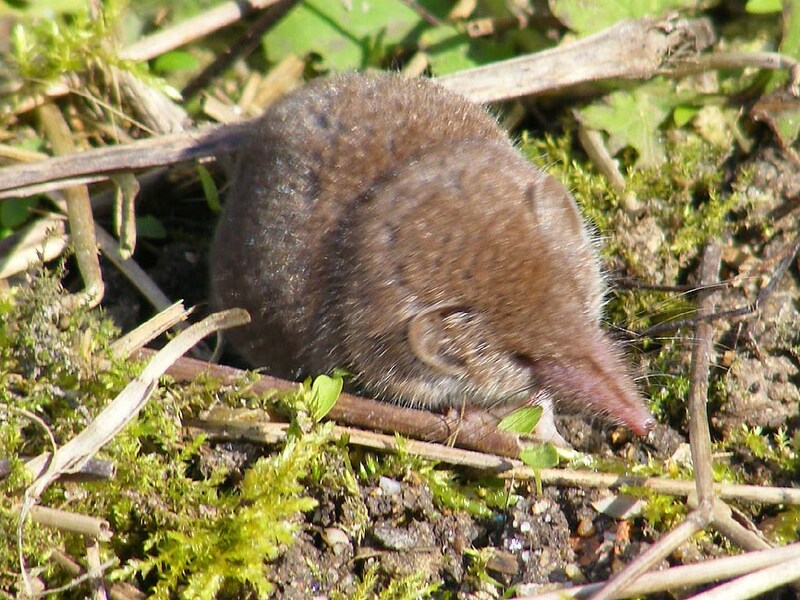 It allowed me to come within a couple of metres (I didn't push the relationship any further) and I got my first photos of a live adult shrew. I've seen shrews before, but only baby ones accidentally disturbed in their nests, or dead adults, so I was amazed when this one turned out to be so obliging. The hind foot measures 12mm. Studying the field guides tells me that it is a White-toothed Shrew Crocidura russula (Musaraigne musette). They are 5-10 cm long, including the 2-5 cm tail. 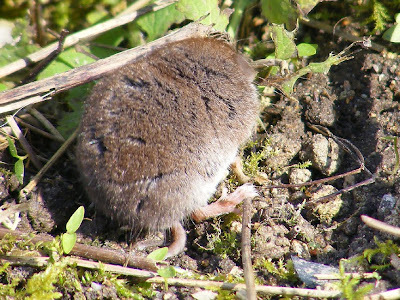 They weigh 6-14g, which for a shrew is quite large, with a fairly long tail. 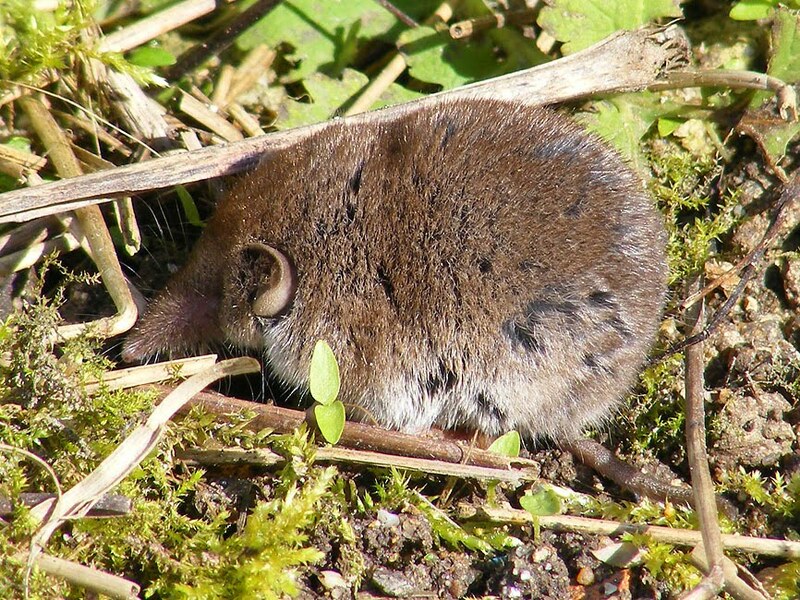 As their name suggests, their teeth are completely white (some shrews have red teeth). Shrews are insectivores, not rodents, and can be distinguished from rodents by their long pointy muzzle and miniscule eyes. The White-toothed Shrew has a pelt that is brownish grey on the back, lightening progressively to white on the belly. They have some long hairs in amongst the thick fur and on the tail, which you can clearly see in the third photo. Of the 10 species in France, this is the one you are most likely to see, because of its willingness to associate with man, and is the species most commonly found inside houses. 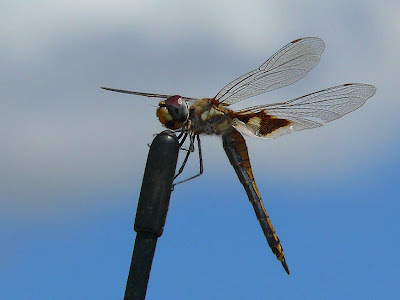 It lives around houses, in gardens, barns and dry stone walls. 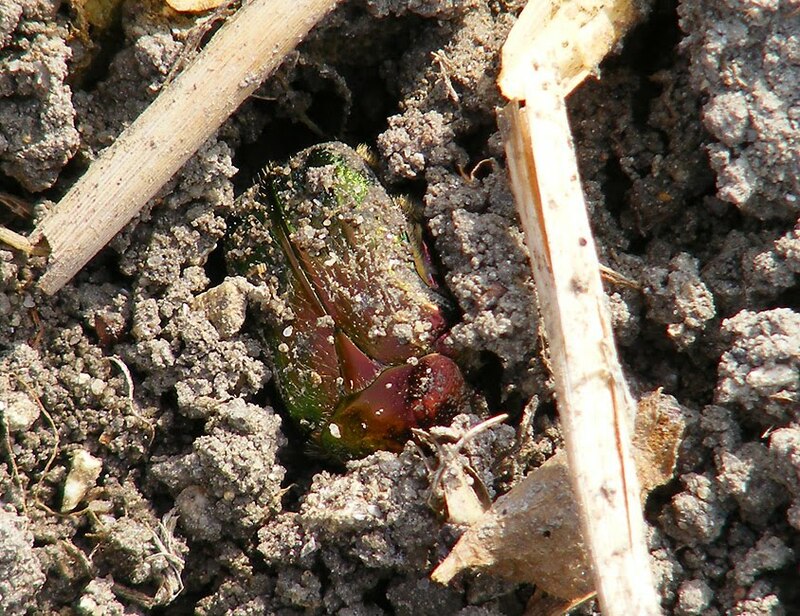 It eats insects and worms, so in winter, when food is scarce, they gather together in a nest to keep warm. They can also reduce their body temperature and become torpid for a few hours. They are generally nocturnal, but sometimes active during the day like this one. According to the field guides they are less agile than Pygmy and Common Shrews, and have a shrill cry or make a high pitched soft twittering noise.